Founder of Nails & Brows, Sherrille Riley was recently invited to partake in the inaugural Shades of Beauty Live event. Hosted across 2 days at Royal Horticultural Halls, Shades of Beauty Live is not just another hair and beauty show. The show is a celebration of individual expression and promotes beauty in all shades, shapes and sizes! The event welcomed many brands across the hair and beauty landscape, exhibiting their products and services. There were also lots of interactive elements during the event such as hair, makeup and skincare workshops with experts showcasing their art whilst offering their tips and tricks. There was also a selection of talks throughout the day in the form of panel discussions and demonstrations. Shades of Beauty invited inspiring women in business to share their experiences with a live audience. Sherrille was invited to be a speaker on the panel: A Seat At The Table. The Beauty of Black Business Ownership’. 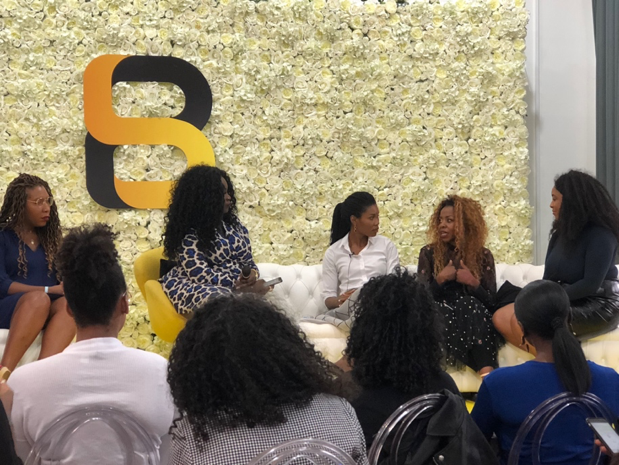 On the panel, Sherrille joined other successful businesswomen who discussed why women of colour are underrepresented at boardroom level and what resources are available to help small businesses in the hair and beauty space to scale. The panel discussion was moderated by Afu Adom(editor of Glam Africa). 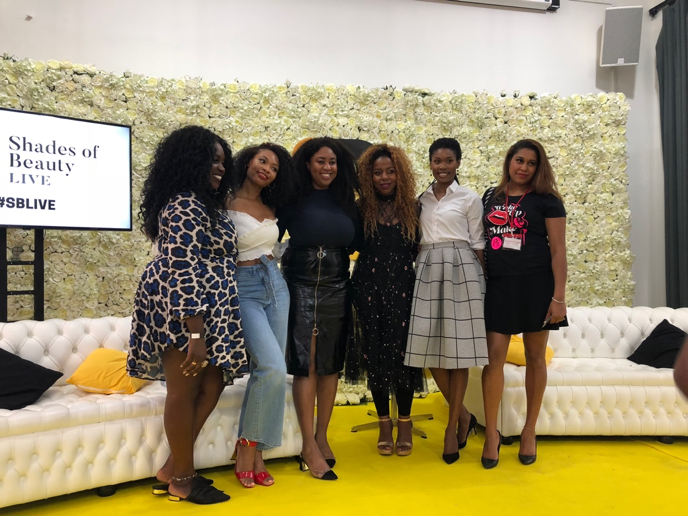 Sherrille joined fellow speakers Chloe Watts (founder of Chloe Digital), Jamelia (founder of Treasure Tress), Melanie Eusebe (founder of Black British Business Awards), Anastasia Chikezie (founder of Purely Natural Hair), Sandra Brown-Pinnock (founder of XSandy’s Afro Hair Shop) and Jackie Mgido (founder of Vault Cosmetics). The event was insightful and it was wonderful to see so many successful women together to celebrate beauty in all its shades, shapes and sizes. Team Nails & Brows had a fantastic time at Shades of Beauty and left feeling empowered and proud to be part of an all-female team. We can’t wait for next year’s event. Sherrille Riley would personally like to thank Shades of Beauty and everyone who attended the panel talk to hear her inspiring story of how she launched Nails & Brows Mayfair and Beauty Edit Mayfair. To find out more about Shades of Beauty check out their website and give them a follow! PreviousWhat is a Lash Lift and why is everybody talking about it?